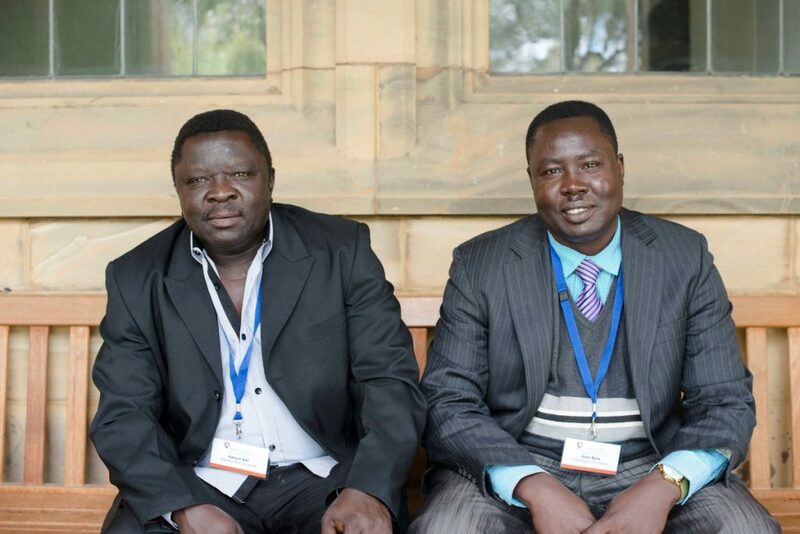 The Nuba Mountain Association of Australia builds connections to help their people in the Nuba Mountains - Diaspora Action Australia | Peace. Development. Human rights. For Haroun Kafi and Komi Bana, Australia is a place they can feel safe. It is a place they can raise their families and escape the brutal war that has devastated their people, the Nuba. Their homeland, the Nuba Mountains — which now sits officially as part of Sudan — is a place of forced evictions and bombings. An estimated 400,000 people have been displaced; many now live in caves. And the violence against their people does not appear to have an end in sight. But they point out that while they feel physically safe, every day they hear of new atrocities and receive pleas for help — and it tears them in two. “While we are here, we have people in trouble back home. [You] cannot sleep even one night without someone calling you and telling you sad stories about what is happening: they don’t get food; women and children are suffering,” Haroun said. The pair are officers of a small organisation, the Nuba Mountain Association of Australia. Founded in 2003, the organisation strives to help both the Nuba who have settled here, as well as the people struggling in Sudan. “We have been connecting with the local MPs and have been progressively meeting more and more influential people. We have been working with the Jewish community who have helped us network — and they helped us raise $4,000,” Komi explained. Diaspora Action Australia has been a valuable ally for their association, Haroun observed, providing connections and a forum for them to speak out. “We are happy that we have found DAA. They have given us the opportunity to introduce ourselves and let people know who we are, where we come from and what we want to do. Komi also observed, “The Diasporas in Action conference [can] connect us with people who can train us in fundraising so we can get equipment for the hospital and the schools. Both men smiled. “We want to go back to Sudan every year and teach the kids by ourselves! This conference has been a great step in us being able to do that,” Komi said, as Haroun nodded in vigorous agreement.